Welcome to the EvoS Consortium! | Advancing the teaching of evolution in higher education. SUNY New Paltz to offer online course in Positive Evolutionary Psychology in Summer of 2018! The Ancestor’s Trail: USA is coming soon! (April 2018 in New Paltz, NY!). Check the website for updates! 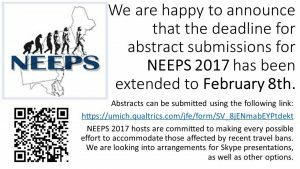 Call for Submissions of the Special Issue of The EvoS Journal: NEEPS XI 2017 (Binghamton) and SEEPS 2017 (Alabama)! “NEEPS University” – 3-credit graduate class in evolutionary psych at NEEPS 2017! Since its inception in 2007, the annual conference of the NorthEastern Evolutionary Psychology Society (NEEPS) has been a vibrant and fertile context for the exchange of ideas surrounding evolutionary psychology. In 2017, for the first time ever, we will offer a 3-credit graduate-level course surrounding NEEPS! Students who sign up for this class will essentially have attendance at the conference (along with the some assignments that will lead to a finely honed research proposal) count as a three-credit graduate class in psychology (see course information below). This class is open to undergraduate, post-graduate, and graduate students from any college or university. This class is open to any educators or professionals (e.g., psychologists, mental health counselors, etc.) who need continuing graduate-level coursework to fulfill their professional obligations. Official course title and description are below. Syllabus is found here. This class uses the rich set of presentations at the annual NEEPS conference as an educational foundation in evolutionary psychology. Students who enroll in this hybrid class will learn about cutting-edge findings from evolutionary psychology from experts who come from all over the world. Via high-profile keynote addresses, a suite of oral presentations, and large group of poster presentations, students will be exposed to cutting-edge research on such topics as the nature of altruism, the nature of ingroup /outgroup biases, relationships and mating behaviors, aggression, evolutionarily informed neuroscience, and more. Students who sign up will also be invited to (and required to attend) special discussions sessions led by Dr. Geher along with other professors who help run NEEPS each year. Assignments will include (a) online readings and discussions via BlackBoard, (b) attendance at the full three-day conference (including the special class sessions), and (c) written assignments and possibly an exam done via BlackBoard the week after the conference. *In-state (NYS resident) tuition is expected to be at or near the 2016 rate of $453/credit (times three for a three-credit class); out-of-state tuition is expected to be at or near the 2016 rate of $925/credit (times three for a three-credit class); there may be student fees in addition to the tuition amounts. EvoS Consortium to become subsidiary of This View of Life! In an effort to optimize forces in our work designed to advance evolution’s place in the modern world, the EvoS Consortium is formally joining forces with – and becoming a subsidiary of – This View of Life (TVOL). 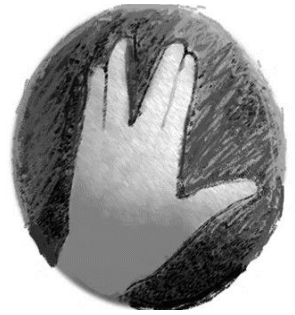 TVOL, which is currently engaged in a massive fundraising effort (you can help the cause HERE! ), has been a widely successful online initiative, largely designed by David Sloan Wilson, to advance our understanding of the world within an evolution-based framework. The EvoS Consortium and TVOL have heretofore run as parallel entities. We are excited to announce this intellectual merger which we believe will strongly advance the goals of both entities. Note that a formal letter from David Sloan Wilson and Glenn Geher, demarcating the rationale for this change and the nature of what we can expect, is found here. Some of the basics of the EvoS Consortium will remain generally unchanged, including our highly successful EvoS Journal (which is now formally affiliated with the NorthEastern Evolutionary Psychology Society and the SouthEastern Evolutionary Perspectives Society). Other elements of the EvoS Consortium web resources will, over the coming months, migrate to the more powerful TVOL platform. We hope that members and followers of EvoS will take advantage of this improvement in our offerings and will continue to work collaboratively as we work to advance an evolutionarily informed understanding of the world and of our place in it. The EvoS Journal: NEEPSX 2016 (Halifax) and SEEPS 2016 (U. Alabama) Special Issues. Call for Submissions and Timeline! EvoS Journal: The Journal of the Evolutionary Studies Consortium is proud to be publishing two special issues to highlight research presented at the 10th annual North Eastern Evolutionary Psychology Society [NEEPS] Conference in Halifax (2016), and the first 1st annual South Eastern Evolutionary Perspectives Society [SEEPS] Conference in Alabama (2016). The entire EvoS (evostudies.org) website is now view-able in languages from across the globe! Check out our new Translations page found here! Bienvenue! EvoS Journal is pleased to announce that the journal is committed to staying as truly open-access moving forward. Currently, in academic publishing, there is a push toward “open access” journals. However, many of these journals are moving toward a “pay to publish” model. We believe that such a model is potentially problematic as it has the capacity to have scholars at institutions with relatively low resources have a lower chance of having their scholarly work published. In the spirit of advancing evolution education in the broadest sense, and true to the original mission of EvoS Journal, the Editorial Team has agreed to commit to having EvoS Journal be a truly open-access journal – no fees to view the articles and no fees to publish. Ever. If you or your colleagues or students have high-caliber papers related to evolution education, please consider EvoS Journal, formed in 2009 with a grant from the NSF, as your peer-reviewed (and truly open-access) outlet. EvoS Summer Institute at SUNY New Paltz is back!!! Teachers can take this 30-hour week-long immersion institute in evolution (across various disciplines) for only $200 (and they can apply for 3 10-hour CEUs from New Paltz). Run don’t walk at this great opportunity for teachers and others! Info on registration, etc., is here. Institute will be offered by the award-winning EvoS Faculty at SUNY New Paltz between July 11-15. [coming soon] EvoS Guest Lecture Series to be included within the collection of our Most Recent EvoS videos! We are lucky to have a brilliant assemblage of minds here at the EvoS Consortium, and we are looking for blog writers and blog readers to open a dialogue concerning the relevance of evolutionary knowledge both inside and outside the classroom. The world looks forward to some intriguing communication among great thinkers of our age, as well as the inevitable shenanigans resulting from giving open ended questions to a group of scientists. 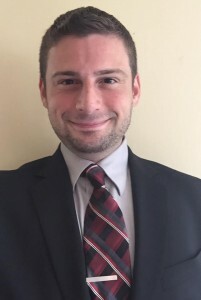 Welcome Aron Wiegand, visting researcher in evolutionary psychology at SUNY New Paltz, as the evostudies.org webmaster and senior editorial associate for the EvoS Journal! Aron comes with great experience such as a completed MSc in Evolutionary and Comparative Psychology from the University of St. Andrews in Scotland. Please join evostudies.org in welcoming Aron to the team! 6/20/2015 – SUNY New Paltz Institute in Evolutionary Studies for Science Educators and Others – 34 or 45 contact hours leading to 2 or 3 CEUs – July 20-24 – first-ever offering! The Institute is designed as an effort to help current and future teachers master the breadth of content needed to effectively teach about evolution in a secondary-education curriculum. With the new “common core” standards, evolution and its many elements are now considered essential components of the science curriculum. We want to help our teachers be best prepared to effectively teach this material to the next generation of students. Funded by the National Science Foundation, SUNY New Paltz’s Evolutionary Studies programs includes more than 10 PhD-level faculty who teach dozens of classes related to evolution across the curriculum. These faculty have published articles and books related to evolution that have earned national and international acclaim – and these faculty have a strong reputation on campus and beyond for focusing on cultivating student learning as a primary feature of their work. 7/13/2015 – Newest issue of the EvoS Illuminate is live! Who will be the first person, world-wide, to complete the newest EvoS-themed crossword puzzle??? Maybe you! 6/17/2015 – Michael Frederick of the Psychology Department at the University of Baltimore is named Editor-in-Chief of EvoS Journal! Dr. Frederick has a PhD in biopsychology from the University at Albany and has an extensive publication list examining morphological and behavioral adaptations across a variety of species. Please join us in welcoming Dr. Frederick to the important position! 6/8/2015 – Learn about our new 2015/2016 undergraduate editor team here. 5/14/2015 – EvoS Journal is pleased to announce that Binghamton’s EvoS Coordinator, Hadassah Head, will be joining our editorial team as Associate Editor – welcome, Hadassah! 5/14/2015 – EvoS Journal currently requesting applications for undergraduate editors. Applications are due May 31st. See full details on our Facebook page. 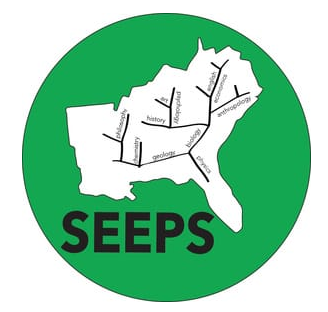 04/11/2015 – EvoS Journal: The Journal of the Evolutionary Studies Consortium is happy to announce a special issue in conjunction with the Northeastern Evolutionary Psycholoy Society (NEEPS) to highlight research presented at the NEEPS 9th Annual Conference on the Evolutionary Behavioral Sciences. EvoS Journal is interested in promoting the education of evolutionary theory across the many islands of the Ivory Archipelago. A special issue highlighting research on the evolutionary basis of human cognition and behavior presented at the NEEPS 2015 Conference fits well within this mission. 12/20/2014 – EvoS is continuing to grow! We are pleased to announce that Clark College of Vancouver, Washington, will be offering a new course, HUM 105, set to premiere in April, 2015. Designed by the Humanities Department Head, Angela M. Lohr, this course is called “Evolution for Everyone.” Angela says that, as a humanities instructor, she’ll be teaching the class as “evolution for non-scientists” to show students how evolutionary concepts and occurrences impact the way we express our humanity. Angela, along with the rest of the EvoS community, is thrilled to have this course on the books at Clark College. Any information or advice for “ProfessLohr” would be greatly appreciated as she prepares to teach this 100-level course to eager and interested students. Please direct any correspondence to alohr@clark.edu. 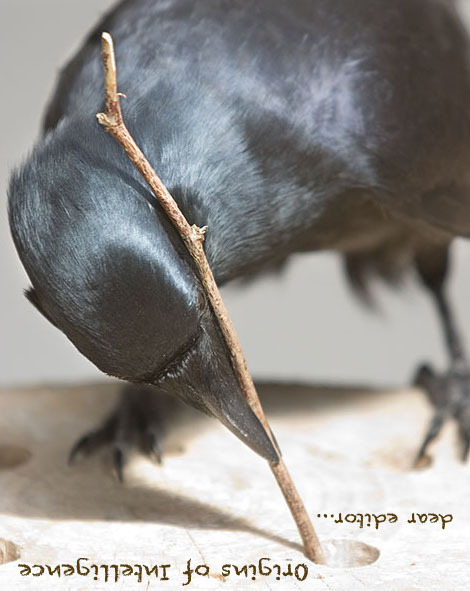 6/10/2014 – EvoS Journal: The Journal of the Evolutionary Studies Consortium, under new editorial team! This new team will include John Montgomery (Psychology at SUNY New Paltz; PhD in Cognitive Neuroscience from Cal Tech; Author of The Answer Model), Dustin Eirdosh (who’s currently directing the PEAR Lab (Positive Education Action-Research) at University of Toliara in Madagascar), along with Glenn Geher, co-founder of the EvoS Consortium (and director of EvoS at New Paltz). And our new editorial assistant will be Nicole Wedberg (MA student in Psychology at New Paltz). Enormous thanks to Rosemarie Sokol-Chang (founding editor of EvoS Journal) and Dan Glass (recent co-editor of the journal) for their outstanding service to the field via their work with EvoS Journal. 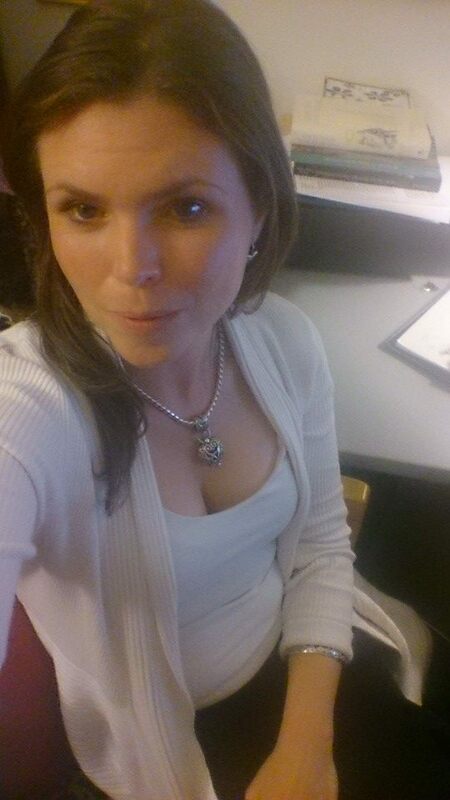 And big thanks to EvoS star Briana Tauber for her great work as editorial associate for the past several years! EvoS Journal has published more than 40 peer-reviewed articles related to evolution and its position in higher education. EvoS Journal, formed via a grant from the National Science Foundation (with PIs being Glenn Geher and Jennifer Waldo of New Paltz and David Sloan Wilson of Binghamton), has been serving higher education on a global scale since 2009. 5/25/2014 – Volume 3, Issue 2 of The EvoS Illuminate: Newsletter of the EvoS Consortium is now available! Be sure to check it out for article written by past and present EvoS students and faculty, as well as info about what’s happening in EvoS around the globe! Click here for older news updates! Don’t forget to visit our sister site, Evolution: This View of Life, the only online magazine devoted entirely to evolution! What is the EvoS Consortium? A major goal of the Consortium is growth – we hope to expand the consortium such that EvoS programs replicate widely. As such, we openly welcome other institutions to join. Steps associated with starting an EvoS program and joining the Consortium are described in the pages included in the Membership tab at the top of the page.